This entry was posted in 4th Amendment, 6th Amendment, Abusive Cops, AG Jeff Sessions, Big Stupid Government, Conspiracy ?, Dept Of Justice, FBI, media bias, Notorious Liars, President Trump, Spying, THE BIG UGLY, Uncategorized, White House Coverup. Bookmark the permalink. I’m very surprised that Flynn’s lawyers haven’t withdrawn Flynn’s guilty plea and petitioned the court to have the charge dropped. Of course, his lawyers may just be taking a wait and see approach, as more and more of the dirty deeds are uncovered and brought out into the sun. Withdrawal of the guilty plea and request for dismissal, and if that doesn’t happen, a demand for a jury trial would make perfect sense. Neither the FBI or the DOJ wants their people dragged in front of a jury, as well as having to turn over the I.G. report to the defense during discovery, who would then use that report against the prosecution. Mueller knows his investigation is nothing more than a house of cards that’s ready to come tumbling down at any time now. It’s not Flynn who has the credibility problem, it’s the prosecution’s side that has an extremely serious credibility problem, especially if they are relying on testimony from rogue people like Strzok to make the case against Flynn. Fancy way of saying that the FBI committed, Perjury. Nothing new for them. The Judge is a member of the FISA court. All members of the FISA court presently were selected by Obama. Did he approve the request? Here are the list of the members. I guess we are going to find out if these judges are going to hold these people accountable for their deceptions to the court, or if they are political hacks themselves. We need a grand jury empaneled somewhere outside the swamp. Sessions is useless. Does he even know what’s going on? Lol. How on earth are you able to determine that Sessions is useless when all you know about is what’s going on on the surface? Sessions seems to have been VERY busy this past year executing President Trumps top priorities while staying out of the way of the WH’s elaborate, year long sting to take down the corrupt members in the FBI, DOJ and Obama WH. Those of us he know Trumps bio are aware that he is a ruthless genius and life long student of the Art of War; both the book written by Sun Tzu and Machiavelli. In both books, winning is based on deception. 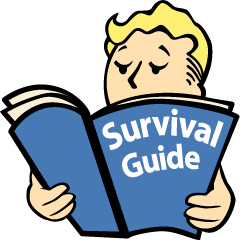 Those of us familiar with these books can easily recognize what Sessions is doing and why. He’s playing his part perfectly. Please stop criticizing what you don’t understand. Attacking Trumps team seems like an odd use of time, especially when there are so many real enemies to target. I invite you to watch, learn and enjoy while using your energy to elect MAGA candidates in November. God bless. United we stand, divided we fall. “Oh, what a tangled web we weave”, etc. 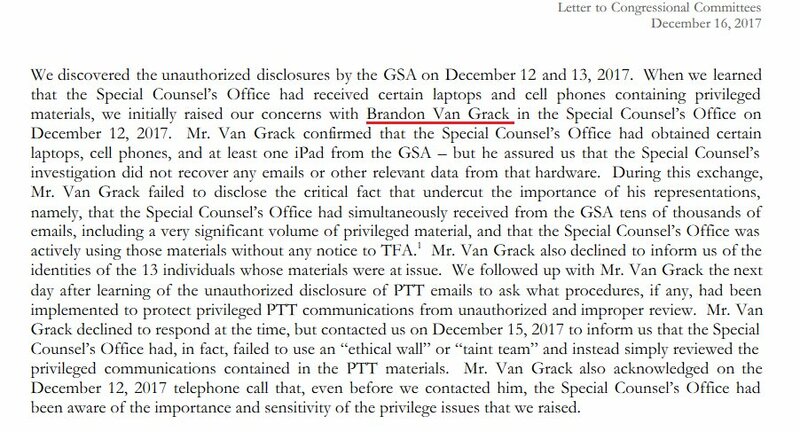 Interesting that Van Grack was still clerking for a Federal judge in 2010, before he joined Obama’s in-Justice Department. He was evidently well connected (Harvard law), and rocketed up the career ladder. This guy is likely a Clinton and/or Obama loyalist in a civil service uniform, a relatively junior Justice attorney who’s now a big player in the game. We need a whole lot more information about his background, his school associations, the organizations he matriculated in while at Duke and Harvard, and in short, what makes this guy tick. How does a junior Justice attorney end up in the trusted Obama inner circle known as the “small group”? “It is my belief, based on mounting evidence, a specific cast of characters -within the Mueller “Russia Election Interference” probe- were placed there to protect the people behind the FBI’s 2016 counterintelligence operation against Trump.” Thus explains the extremely biased group of partisans assembled. And they know should one hang they all hang. Will they take Papa Rat Obama (and Holder and Lynch) down with them, or are they that stupid to let them off the hook? Need a real Special Counsel to interrogate fake SC Mueller on his conflict of interest and other issues. Our great President has been right and honest all this while! What about Count #5 in the charging doc? Count #5 has nothing to do w/the Strzok interview, the 302s, nor anything else. Count #5 is dealing w/FARA, Turkey, and the Flynn Intel Group, which involves Gen Flynn’s son. Do we not need to clean up the issues dealing w/Count #5, which was prob initiated by Andrew Weismann who is known for such tactics such as targeting families? Can Mueller not modify the charging doc to eliminate all but Count #5? Personally do not know. Count #5 is most likely the reason Gen Flynn pled guilty. Weismann was either going to get Gen Flynn or Gen Flynn’s son. What an evil evil man Weismann is. Have run out of ideas on this one, but not hope. Someone else knows how to deal w/this, just not me. Not being an attorney, just a flunky IT nutjob, is sometimes a hindrance. And Gen Flynn is worth it. The Foxes are in the hen house = Trump and those that work for him are the hens with the FBI ( Shruck, McCabe, and the DOJ (Rosenstein and Mueller.